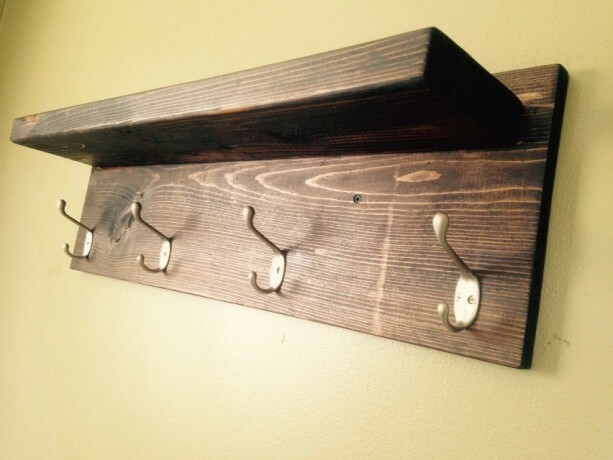 Rustic Style Coat Rack - Satin Nickle 4 hook - Dark Walnut - Custom Finish Avail. Custom Hand Made to Order. 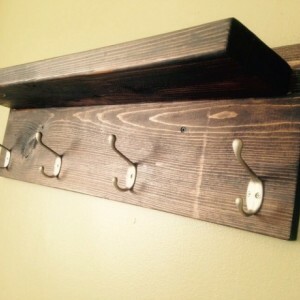 Rustic Style Coat Rack 4 Satin Nickle hooks. Custom Finish Available. Dark Walnut 2716 shown, but the choice is yours. 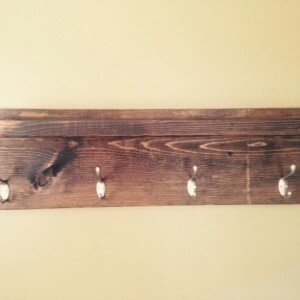 Built sturdy and has 2 mounting holes for wall anchors or stud mounting. 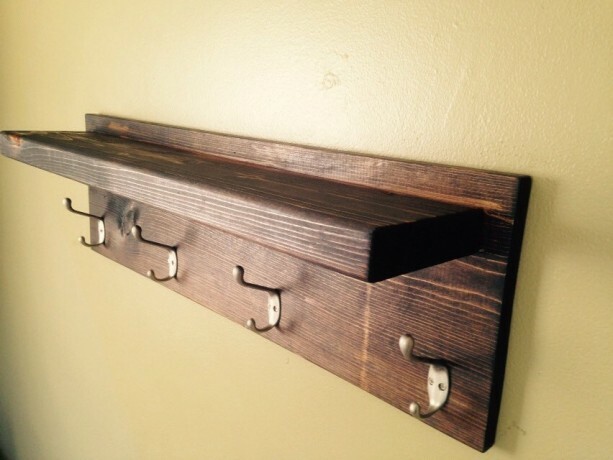 (anchors & screws included) This could also be used as a shelf for your favorite decor in any room of your home. 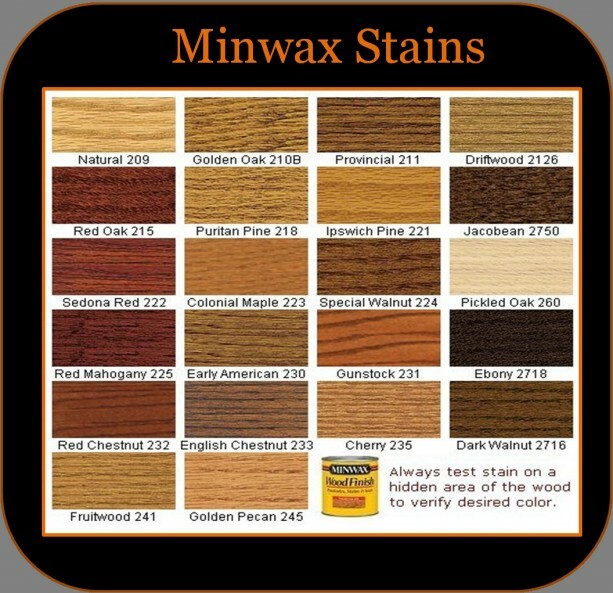 Please see the last image for stain color options. We proudly use Minwax finishes. Pick any of the stain options from the menu when ordering. The colors can vary slightly from the image. Feel free to ask any questions before ordering. 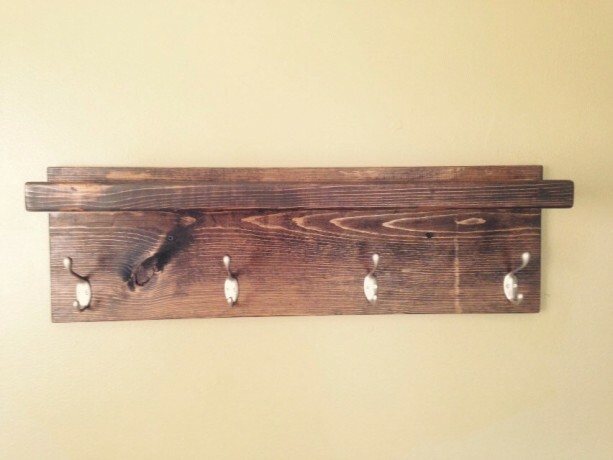 MEASUREMENTS: 30" W x 9 1/4" H x 5 1/2" D INCLUDES: 1) coat rack 2) wall anchors CUSTOM PROJECTS: There are many options for the finish, hardware, and design, and these are just a few. If you have a design idea that you would like to have made, or have seen something on the internet, we would love to hear from you. 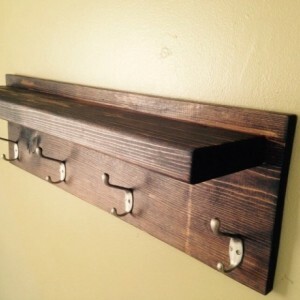 We could collaborate a project, and list it on Etsy for you. All of the details would be laid out, and would then be a purchase option for you.